Richard Barrett – #. 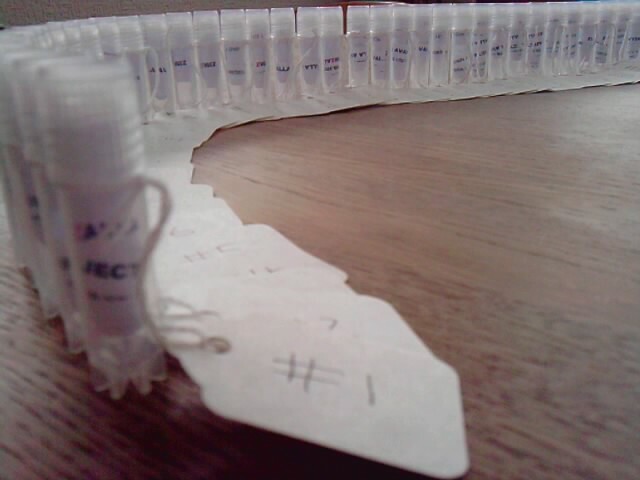 50 unique micro-texts, each presented in a labelled vial. Free in exchange for a physical, digital, gestural, verbal, symbolic or any other kind of gift. This object is no longer available. This object has adjuncts.